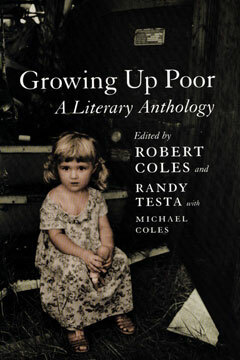 In a land of seemingly endless plenty, Growing Up Poor offers a startling and beautiful collection of stories, poems, and essays about growing up without. Searing in their candor, understated, and often unexpectedly moving, the selections range from a young girl’s story of growing up in New York’s slums at the turn of the twentieth century, to a southern family’s struggles during the Depression, to contemporary stories of rural and urban poverty by some of our foremost authors. Thematically organized into four sections—on the material circumstances of poverty, denigration at the hands of others, the working poor, and moments of resolve and resiliency—the book combines the work of experienced authors, many writing autobiographically about their firsthand experience of poverty, with that of students and other contemporary writers. Edited and with an introduction by Pulitzer Prize–winning child psychiatrist Robert Coles, Growing Up Poor gives eloquent voice to those judged not by who they are, but by what they lack. Randy Testa has taught literature and medical ethics at Harvard and Dartmouth Medical Schools. He was an editor at DoubleTake magazine and lives in Cambridge, Massachusetts.